Kuldeep Yadav, who was left out of India's playing XI for the first ODI, was the pick of the bowlers in the 2nd ODI in Visakhapatnam. 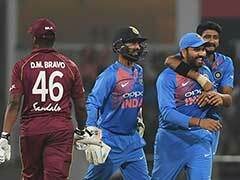 After returning for the second One-Day International (ODI) in Visakhapatnam, spinner Kuldeep Yadav took three wickets as the last-ball thriller between India and Windies ended in a tie. Kuldeep was surprisingly omitted in the first ODI with the team management favouring to go with Ravindra Jadeja and Yuzvendra Chahal as their only spinners. Kuldeep, who made a spectacular return in Vizag, spoke about the excess dew during the second innings and the problems the Indian bowlers faced with the wet ball. 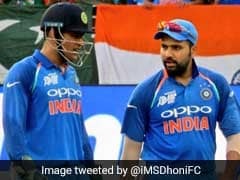 Team India on Wednesday scored 321 for six after opting to bat with Virat Kohli (157) surpassing Sachin Tendulkar to become the fastest player to reach 10,000 runs in One-Day Internationals. The Windies then rode on Shai Hope's unbeaten century and Shimron Hetmyer's 64-ball 94 to level the scores at the YSR ACA-VDCA Stadium. "It was very difficult to bowl in the dew, the square was quick and there the got ball wet. I was having difficulty gripping the ball. But you have to consider these situations, we need to practice a lot," Kuldeep told reporters at the post-match press conference. The left-arm spinner was India's most successful, returning with figures of three for 67. He said skipper Kohli told him to just bowl in the good areas and contain the runs. 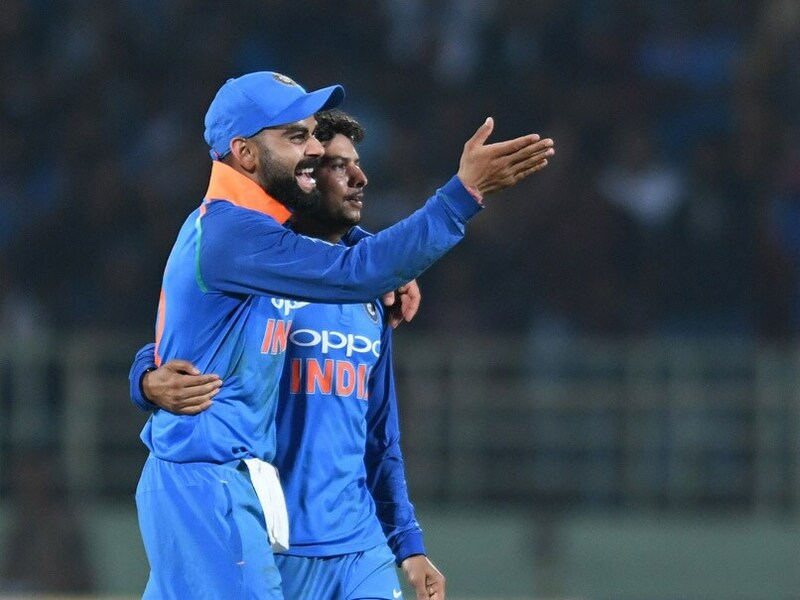 Kuldeep defended seamers Mohammed Shami and Umesh Yadav, who were wayward in both the matches. "Considering the situation they were in at one point when they (Windies) were cruising, we are happy as a a bowling unit. With the dew also there, I think we did a good job." Asked about the move to bat first, risking the dew factor to avoid more turn in the second innings, Kuldeep said they expected the wicket to slow down in the second innings. The spinner lavished praise on Hetmyer, who carried on from where he left in the first game. "Hetmyer is playing brilliantly, it was very difficult to bowl to him. I was trying to contain him, was really on to him and trying to get him out. He was not comfortable against me but a couple of sixes he hit changed the course," Kuldeep said. The bowler dismissed Hetmyer, who smashed a 78-ball 106 in the series opener, three times in the preceding two-match Test series.